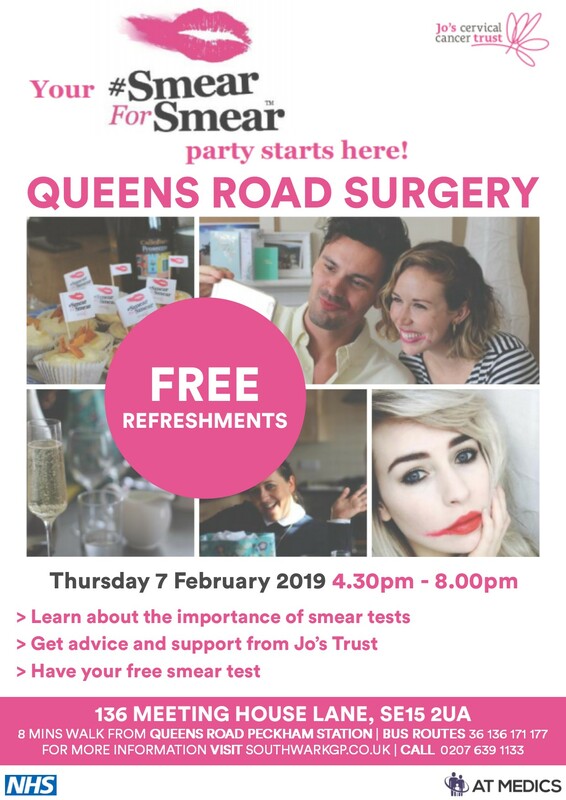 Join us at Queens Road Surgery on Thursday 7 February 2019 for our Smear Awareness event between 4.30pm and 8.00pm. All patients are welcome to attend. See poster below. Visitors will have the opportunity to meet our practice team, practice manager and members of Jo’s Trust, a UK charity dedicated to women, their families and friends affected by cervical cancer and cervical abnormalities. There will also be FREE refreshments and the chance for patients to have their smear test.